Omate has a new high end smartwatch and it's on Indiegogo at a huge discount for only 48 hours. The Omate Rise campaign went live today - 7 December - and despite being billed as the first 48 hour Indiegogo campaign, the ticker has 63 hours left. Go figure. The Omate Rise is already 200% funded with $61,727 raised so far in less than two hours. 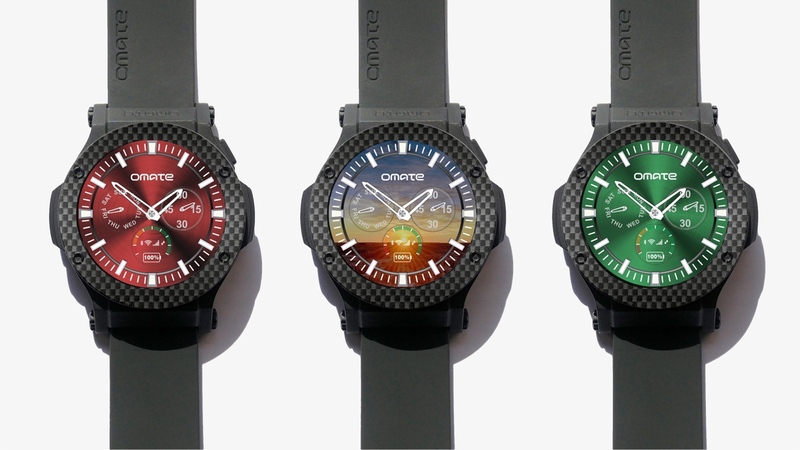 The Omate Rise might be a little late to the Cyber Monday party with the flash crowdfunding campaign. But its flagship wearable for 2016 - which is 3G-compatible, has GPS and is properly waterproof - comes at the nice price of $199 for the developer edition (500 units), $209 for early birds (500 units) and $219 for everyone else within the 48 hours. Units will ship to early bird backers in May 2016 with pre-orders starting at $349 from June 2016. The Omate Rise is very much a do-it-all device, the complete opposite to pared back devices like the Pebble Time Round and Vector Luna. But if that's what you're into, you get a lot for your money. Omate is referring to the style as "rugged fashionable" - it's made from polycarbonate with stainless steel screws for detail and if the campaign reaches $30,000, the Rise will come with a carbon fiber bezel. It comes with interchangeable 22mm straps and the device is also water resistant to 1 ATM so it can be used down to 10m. As for specs, the Rise sports a round, 1.3-inch 360 x 360 touchscreen with sapphire coating and, unsurprisingly since it acts like a smartphone, the smartwatch runs Omate's OUI 4.0 on top of full Android 5.1 Lollipop. It works with iPhone (iOS 9) and Android (4.4+) and the Rise also has a 3G micro SIM slot for untethered use as well as GPS, Bluetooth and Wi-Fi. There's a speaker and mic, presumably to take and make calls as well the usual 6-axis accelerometer, gyroscope and magnetometer for activity tracking. There's no built-in heart rate monitor as on Android Wear rivals but Early bird backers also get a free Bluetooth HRM chest strap with each purchase. There's 4GB of storage and a beefy 580mAh battery which should take care of 3G use for at least one to two days.